9) Per contra, learned counsel for the respondent submitted that the suit has been filed by the two appellants jointly with respect to the two separate alleged causes of action. He further submitted that the alleged cause of action of the appellant No. 1 is based upon the agreement dated 06.06.2009 between the appellant No. 1 and the respondent in which appellant No. 2 cannot be said to have any joint interest and the alleged cause of action of appellant No. 2 is based upon an oral understanding arrived at between appellant No.2 and the respondent in which appellant No. 1 cannot be said to have any joint interest. Learned counsel for the respondent further submitted that in such circumstances, the instant suit in the present form is not maintainable in terms of Order II Rule 3 of the Code of Civil Procedure, 1908 (in short ‘the Code’) and the suit of the appellant No. 1 is required to be separated under Order II Rule 6 of the Code. 10) Learned counsel further submitted that in view of the existence of the arbitration clause in the agreement dated 06.06.2009 and the subject matter of dispute between the parties in the present suit is already pending adjudication before the Arbitral Tribunal, the instant suit filed by the appellant No. 1 cannot be proceeded with and the matter is required to be referred to arbitration. Learned counsel finally submitted that the judgment rendered by the division bench of the High Court upholding the decision of the learned single Judge is correct and no interference is called for in the appeal. 11) Learned counsel further submitted that the oral contract did not contain any clause for arbitration and the dispute raised by the appellant No. 2 cannot be referred to arbitration. 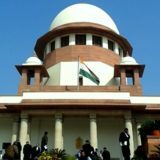 In support whereof, he relied upon a decision of this Court in Kvaerner Cementation India Limited vs. Bajranglal Agarwal and Another (2012) 5 SCC 214 wherein this Court has held that there cannot be any dispute that in the absence of arbitration clause in the agreement, no dispute could be referred for arbitration to an Arbitral Tribunal. 12) Learned counsel, however, submitted that if this Court comes to the conclusion that the matter should be resolved by way of arbitration, the entire matter be referred to the sole arbitrator already appointed by the respondent. Discussion: 13) From the materials on record, it is evident that an agreement dated 06.06.2009 was executed between the parties wherein appellant No. 1 was the contractor and the respondent as a client. The agreement impugned clearly states that there is an arbitration clause therein. Owing to the dispute among parties, the respondent, in exercise of his right under the said clause, appointed a sole arbitrator. Subsequently, notices were issued to the appellant No. 1 and the matter remained pending despite appearance before the Arbitral Tribunal. In the meantime, the appellants jointly filed a suit before the High Court for declarations, permanent injunction and recovery claiming a formal meeting was held between the parties in which it was decided that appellant No.1 will no longer be the contractor and the agreement dated 06.06.2009 would stand terminated by mutual consent and the construction would be carried out by the sub-contractors to be appointed as per the advice of appellant No. 2 who would supervise the same without remuneration/profit. The respondent filed I.A. No. 12124 of 2012 in CS(OS) No. 1532 of 2012 under Section 8 of the Act claiming that the subject-matter of dispute in the present suit is already pending adjudication before the Arbitral Tribunal, hence, the suit cannot be proceeded with. Vide order dated 17.09.2012, learned single Judge of the High Court, found that the suit is bad for mis-joinder of parties as well as for causes of action and gave an option to the appellants to elect whether they want the suit to be treated as a suit for recovery of money by appellant No. 2 herein against the respondent or a suit for declarations and injunction by appellant No. 1. The appellants went in appeal before the division bench of the High Court. Vide order dated 28.09.2012, the division bench also dismissed the same. 14) From the facts of this case, we find that a suit was filed for declarations, permanent injunction and recovery of money by the appellants stating that a meeting was held in between the parties in which it was decided that appellant No. 1 would no longer be the contractor and the agreement dated 06.06.2009 would stand terminated by mutual consent and the construction would be carried out by the sub-contractors to be appointed as per the suggestions of appellant No.2, who would supervise the same but without any profit/remuneration as per the oral agreement. The respondent agreed to make all payments towards purchase of material, construction, fee of architect etc. Appellant No. 2 incurred an amount of Rs. 45 lakhs for and on behalf of the respondent which is sought to be recovered under this suit. The appellants also claimed a declaration to the effect that the agreement dated 06.06.2009 between appellant No. 1 and the respondent was obtained by fraud and mis-representation, hence, it is null and void. Another declaration sought for in the suit was that the agreement dated 06.06.2009 stood terminated by mutual consent. A decree for injunction is also sought for restraining the respondent from initiating and carrying on any proceeding arising out of and on the basis of agreement dated 06.06.2009 between appellant No. 1 and the respondent. 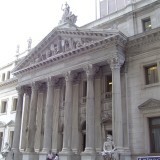 On the other hand, the respondent took the preliminary objection that the suit is bad for misjoinder of parties and causes of action and further that the arbitration proceedings initiated by the respondent, in terms of the arbitration clause, is pending adjudication before the Arbitral Tribunal. 15) Admittedly, the cause of action for recovery of Rs. 45 lakhs claimed in the present suit is the expenditure alleged to have been incurred by appellant No. 2 pursuant to the oral agreement he claims he had with the respondent sometime in April, 2011. On the other hand, the cause of action with respect to reliefs of declarations and injunction is the agreement dated 06.06.2009. The alleged agreement dated 06.06.2009 was, admittedly, between the appellant No. 1 and the respondent to which appellant No. 2 was only a witness, which as per the terms of the plaint terminated later on by mutual agreement between the appellant No. 1 and the respondent. At this stage, it was agreed orally that appellant No. 2, who is the husband of appellant No. 1, would take over the execution of the pending works. Admittedly, Appellant No. 1 is not a party to the alleged oral agreement between Appellant No. 2 and the respondent for supervision of the construction by him. 16) From the materials available on record, particularly, the transcript of conversation between the appellant No. 2 and the respondent on 6th and 7th April, 2011, we find that the oral agreement was substituted in place of the alleged written agreement dated 06.06.2009. There is a complete accord and discharge of the responsibilities and liabilities of appellant No. 1 vis-à-vis the defendant and vice-versa. The plaint also avers that after the accord between appellant No. 1 and the respondent and simultaneous discharge of the obligations, a distinct oral agreement was entered into between appellant No. 2 and the respondent. It is quite clear from what has been stated above that the cause of action: the right to get declarations with regard to the said contract as null and void or a right to seek an injunction restraining the respondent from taking any action on the basis of the said contract, if any, with regard to the prior written agreement arises in favour of appellant No. 1 against respondent and not in favour of appellant No. 2 as he was not a party to the agreement dated 06.06.2009. On the similar lines, the right to seek money decree, as is claimed by the appellants, would be a distinct cause of action founded on subsequent oral agreement between the appellant No. 2 and the respondent. 17) Learned single Judge of the High Court, vide order dated 17.09.2012, directed the parties to elect as to whether they want the suit to be treated as a suit for recovery of money by appellant No. 2 against the respondent or a suit for declarations and injunction by appellant No. 1 against the respondent and to amend the plaint accordingly. Learned single Judge, after taking a considered view that the suit is bad for misjoinder of parties and/or misjoinder of causes of action, held that the application filed by the defendant under Section 8 of the Act would be disposed of only after the appellants make an election in terms of this order. The appellants herein, instead of amending the plaint, went in appeal before the division bench, which got dismissed vide order dated 28.09.2012. 18) Since the suit was dismissed for misjoinder of parties and/or causes of action, it is pertinent to mention here the law on the point which is as under:- Order II Rule 3 “Joinder of causes of action “ (1) Save as otherwise provided, a plaintiff may unite in the same suit several causes of action against the same defendant, or the same defendants jointly; and any plaintiffs having causes of action in which they are jointly interested against the same defendant or the same defendants jointly may unite such causes of action in the same suit. In view of the above, where an agreement is terminated by one party on account of the breach committed by the other, particularly, in a case where the clause is framed in wide and general terms, merely because agreement has come to an end by its termination by mutual consent, the arbitration clause does not get perished nor is rendered inoperative. This Court, in the case of P. Anand Gajapathi Raju (supra), has held that the language of Section 8 is peremptory in nature. Therefore, in cases where there is an arbitration clause in the agreement, it is obligatory for the court to refer the parties to arbitration in terms of their arbitration agreement and nothing remains to be decided in the original action after such an application is made except to refer the dispute to an arbitrator. Therefore, it is clear that in an agreement between the parties before the civil court, if there is a clause for arbitration, it is mandatory for the civil court to refer the dispute to an arbitrator. 27) In view of the above, we are of the considered opinion that in the present case, the prerequisites for an application under Section 8 are fulfilled, viz., there is an arbitration agreement; the party to the agreement brings an action in the court against the other party; the subject matter of the action is the same as the subject-matter of the arbitration agreement; and the other party moves the court for referring the parties to arbitration before it submits his first statement on the substance of the dispute. We have come to the conclusion that the civil court had no jurisdiction to entertain a suit after an application under Section 8 of the Act is made for arbitration. In such a situation, refusal to refer the dispute to arbitration would amount to failure of justice as also causing irreparable injury to the defendant. 28) As we have already held that the oral agreement as evidenced by the transcript of conversation between the appellant No. 2 and the respondent on 06/07.04.2011 substituting the alleged written agreement dated 06.06.2009 and which contained a clause for arbitration, the same clause for arbitration would also be applicable to the oral agreement. The Division Bench has also erred in law in affirming the order passed by learned single Judge. Both the orders, therefore, cannot be sustained and are set aside and, therefore, in view of the decision in P.R. Shah (supra), there can only be one arbitrator and there can only be a single arbitration. 29) In view of the foregoing discussion, the appeal succeeds and is allowed. However, instead of remitting the matter back to the learned single Judge for deciding the suit itself on merits, we refer the disputes raised by the appellants in CS(OS) 1532 of 2012 to the sole arbitrator already appointed, viz., Hon’ble Mr. Justice V.K. Gupta (Retd.) and request the arbitrator to decide the disputes expeditiously in accordance with law. NEW DELHI; APRIL 10, 2017.